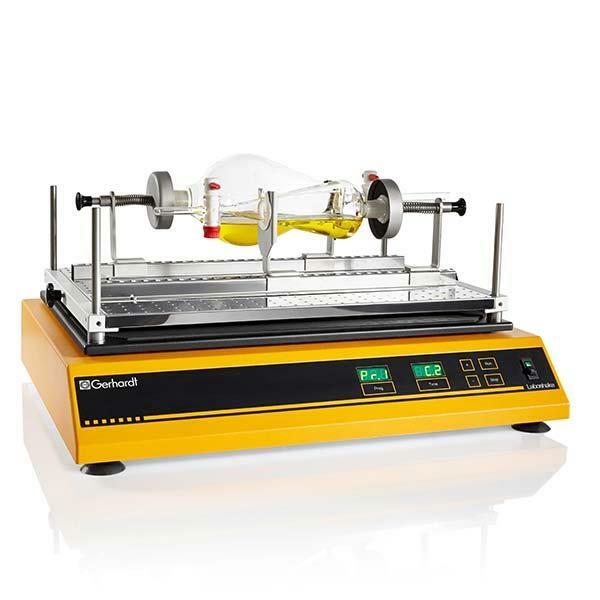 Time to shake things up with Gerhardt's LABOSHAKE, a sturdy laboratory shaker that can withstand loads of up to 30 kg (66 lbs) and can be programmed for a wide range of shaking speeds (20 to 200 rpm). Gerhardt’s LABOSHAKE is a sturdy, reliable laboratory shaker that can handle loads up to 30 kg (66 lbs) on its large platform. With the ability to move in a linear or circular motion, it is ideal for use in chemical, biological, or microbiological laboratories. The easy-to-use onboard controller stores up to 9 programs with up to 9 steps each and has an RS-485 interface. Shaking speed can be programmed from 20 to 200 rpm. The low-maintenance LABOSHAKE features corrosion-resistant plastic housing and anti-slip feet to ensure stability. Options and accessories are available for a variety of applications, as well as tiered attachments to save bench space. 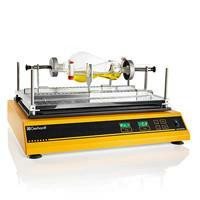 For temperature-controlled applications, Gerhardt offers the THERMOSHAKE Incubator Shaker.